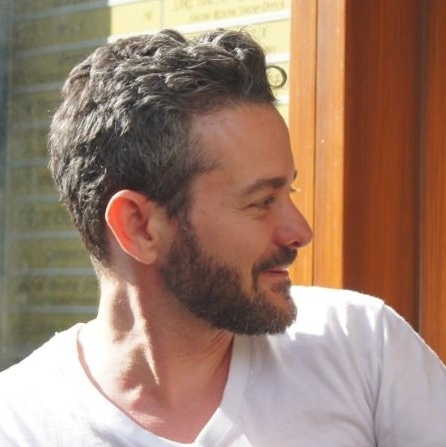 On August 14th, the High Fidelity team issued a blog post featuring the first number by AKA, the company’s informal group of singers of Emily, Ozan and Andrew. 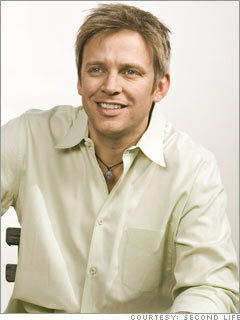 While light-hearted in nature, the video further demonstrated HiFi’s work on facial expression and gesture capture. I wrote about the video and post as a part of a quick update on HiFi, and noted at the time that “executive producer” (and HiFi co-founder) Ryan Karpf would be providing more information on what went into the video and session. Keeping to his word, Ryan did just that on Tuesday August 26th, releasing a video on how it was all done (embedded below), together with a brief blog post inviting those already in the Hi Fi Alpha testing programme to consider submitting their own videos … assuming, that is, they have the hardware. Ryan’s piece explains how the team put together the music video and overcame some stumbling blocks, although I admit I’d probably have a better chance of understanding Brad Hefta-Gaub’s explanation of a server crash issues had he been speaking Klingon (which is probably why I’m not in the Alpha)! Fortunately, Ryan is on-hand to offer a single-sentence translation into English. The video also reveals how the team were unable to film the song as a single “live” performance, as had been hoped, but in the end had to rely on traditional post-recording editing to produce the finished piece. It’ll be interesting to see how this work develops, and whether the HiFi team really do get to the point of being able to record a completely fluid and “live” performance; I rather suspect they will. But even without this, the Easy video tends to demonstrate how much more engaging something like a musical set could be when one can see more of the performer’s facial expressions and actions when playing a musical instrument reflected in their avatar. In the meantime, and for ease of reference (and because I like it and find myself singing along with Emily), is the music video itself, complete with Chris and Ryan’s “outtakes”. Living near Blake Sea offers a lot of opportunities for sailing and flying – and for discovery. Back in September 2013, I wrote about my meanderings across some of the core regions of Honah Lee, and I’ve made mention of other destinations in the region as well. While flying recently, I came across something I hadn’t noticed previously, and that’s three sternwheel paddle steamers tied-up at the quayside. Intrigued on seeing them from the air, and spurred by a request for more information on them coming from another member of the Avatar Social Network, I set out for a closer investigation. The three boats are part of the Bandit Steamboat Company, owned by Analyse Dean (who built them), of Bandit Boats fame. They can be found just across the water from her store, alongside the wharf belonging to the Dixieland Coal Depot. For those arriving at the Bandit Boats quay, you can either fly over to the coal depot, which lies to the west, or you can take the little steam ferry across the water – just walk onto the ferry, don’t try to sit on it! There are three steamers at the wharf, the largest being the Dixie Queen, seen at the top of this piece and again at the end, which offers a large passenger salon, what appears to be a dining area, and up on the top deck, a couple of small cabins and what might be a saloon where it’s easy to imagine card games going on as the boat makes her way up the Mississippi and Ohio rivers. Across the quay from the Dixie Queen sits the Dixie Belle, a slightly smaller sternwheeler, offering just a salon and gaming room on her upper deck, although there is a small promenade deck above, just behind the wheelhouse. 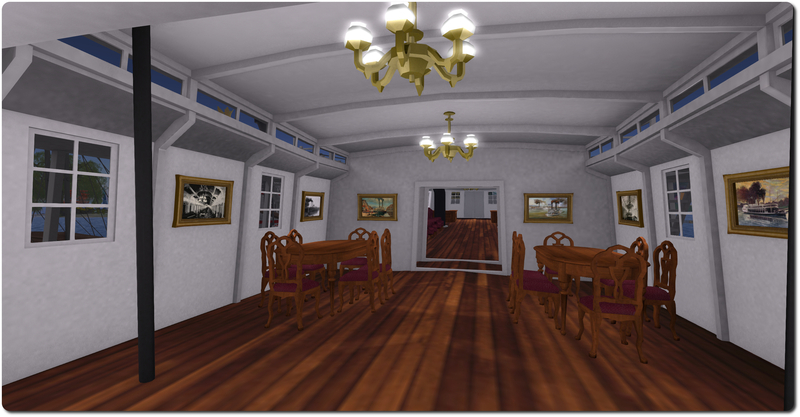 Like the Dixie Queen, the Belle’s lower deck is given over to her steam engines, bunkers and cargo space. Moored in front of the Belle is the Dixie Tow, a reminder that the life of a Mississippi steamer wasn’t necessarily devoted to Maverick-style adventures; it could be hard work, lugging cotton bales and cargo downriver, or in the Dixie Tow’s case, pushing coal tenders around. Dixie Bell actually started life as a part of a build Analyse did for the TYC December boat show in 2013, when it formed a part of her Deer Hunt. 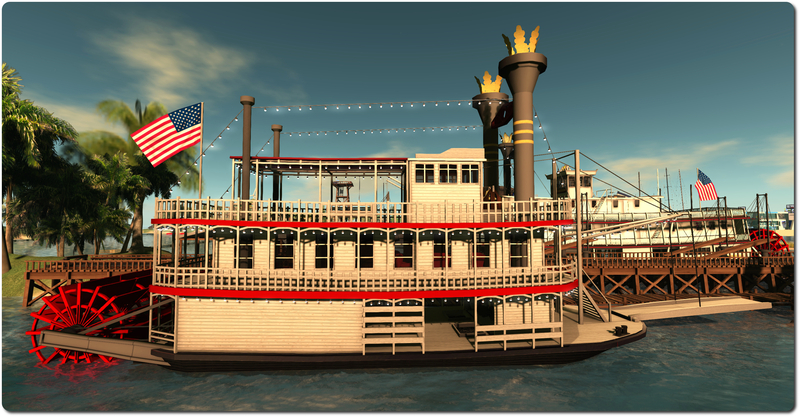 Dixie Queen and Dixie Tow are both part of a larger work in progress, and are intended to be sailable with a crew of a skipper, a pilot and stokers; in addition, the Queen will be able to carry passengers. 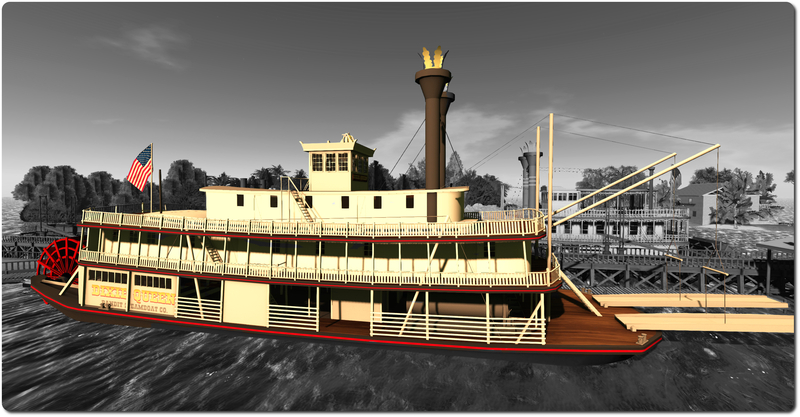 In particular, Analyse is hoping to recreate some of the atmosphere of the heyday of the great sternwheel paddle steamers as they plied the rivers of the American mid-west – including the legendary (and sometimes fictional) races between them. 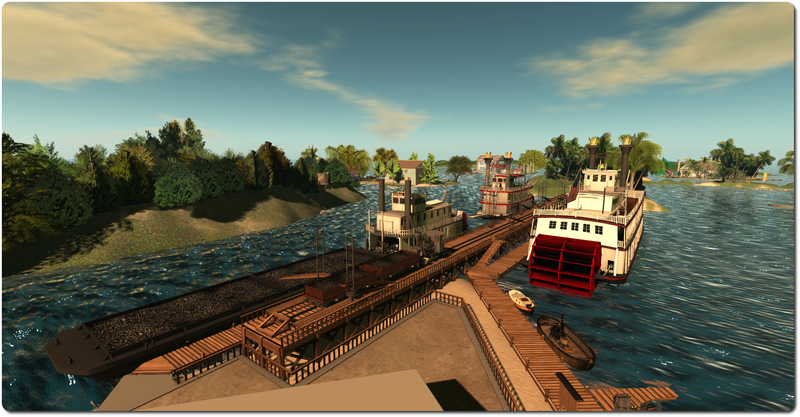 “Considering that even the biggest sea in SL is barely as wide as the Mississippi at some points, I think SL is a great place to recreate this,” Analyse told me as we talked about the project. 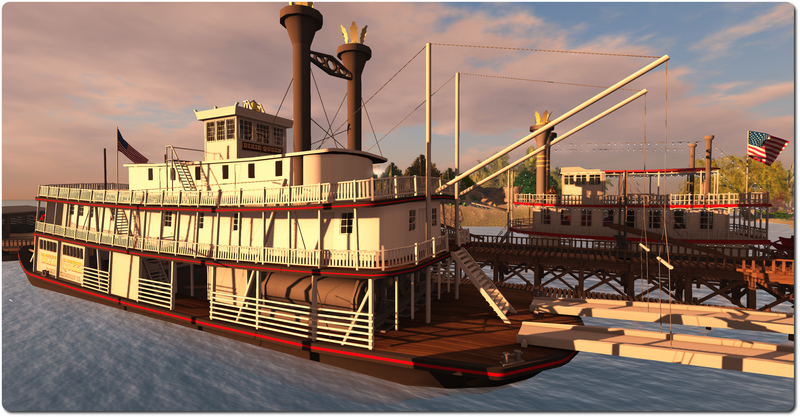 The work is already some nine months into development, and still has some way to go before things are ready to launch; but when she’s ready, Analyse will be offering both the Dixie Queen and the Dixie Tow for sale – and will be organising steamboat races as well; something she hopes will prove popular. Part of the reason the project is taking so long to develop is that Analyse needs to devote time and attention to her primary boating business. She also wants to make the steamers to give as much a feel of sailing the old sternwheelers as is possible. This has involved building and scripting a steam engine simulator (a mock-up of some elements of this can be seen at the north end of the quays). In the meantime, The Dixie Queen, the Dixie Belle and the Dixie Tow sit moored and open to visitors, and Analyse tells me that SL photographers are welcome to use the boats for photo shoots if they wish – rezzing is enabled, although people are obviously asked to clear-up anything they use prior to leaving. For my part, I have to say I enjoyed my exploration of the boats and my chat with Analyse, and I’m also looking forward to the first race – which I certainly hope to be able to cover in these pages, and perhaps even be a passenger aboard one of the participant steamers! Be located on a Skill Gaming region operated by the Skill Games operator. 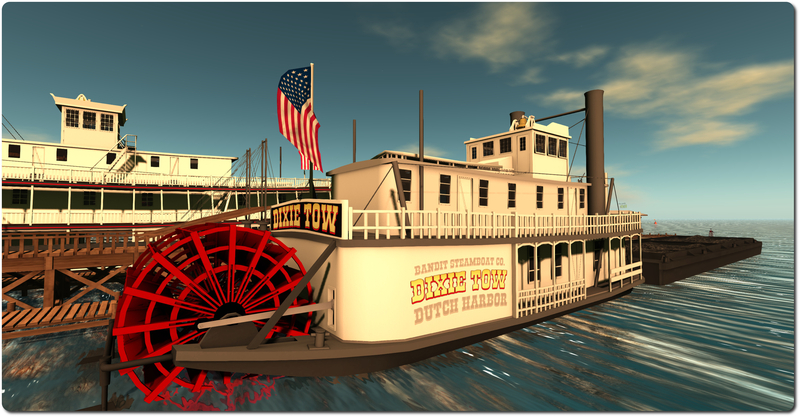 A game, implemented through an Inworld object: 1) whose outcome is determined by skill and is not contingent, in whole or in material part, upon chance; 2) requires or permits the payment of Linden Dollars to play; 3) provides a payout in Linden Dollars; and 4) is legally authorised by applicable United States and international law. The policy also notes that, “‘Skill Games’ are not intended to include and shall not include ‘gambling’ as defined by applicable United States and international law.” Gambling is, and remains, against the Second Life Terms of Service. Remember: if you are not an approved* Creator or Operator, you must cease the creation, distribution, and operation of skill games (as defined in the Skill Gaming Policy) by September 1, 2014. So if you haven’t already removed any unapproved skill games from your Marketplace shop, for example, or haven’t yet ceased operating them inworld, now is the time to do so. From that date forward, operating and/or creating skill games with L$ payouts, among other criteria as specified in the Skill Gaming Policy, without Linden Lab approval (and/or outside of Skill Gaming Regions) will be subject to enforcement measures. 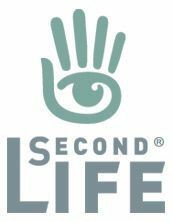 If you live in a jurisdiction where skill gaming is permitted and you plan on playing these games in Skill Gaming Regions in Second Life, you should not need to do anything differently. However, adding payment information on file now is a good way to help ensure you’re able to play as soon as Skill Gaming Regions are live. *As noted in the FAQ, creators and operators whose applications are under review at the deadline may continue to operate skill games while their applications are reviewed, provided that they have submitted all required documentation and continue to promptly respond to any inquiries from Linden Lab. As I recently reported, a number of approved operators and games have appeared on the official Skill Gaming Approved Participants wiki page, but one of the concerns expressed by potential creators and operators is the remaining lack of clarity around aspect of the new policy. for example, the Lab still had yet to give any indication of the likely quarterly fees which are to be levied, and this may still be causing people to hesitate in submitting an application as a creator and / or operator of skill games. However, this doesn’t escape that fact that all operators and creators of skill games will have to be in compliance with the policy from Monday September 1st – and for those who have not yet submitted their application, that means ceasing creation, distribution and operation of skill games, as noted in the Lab’s blog post.